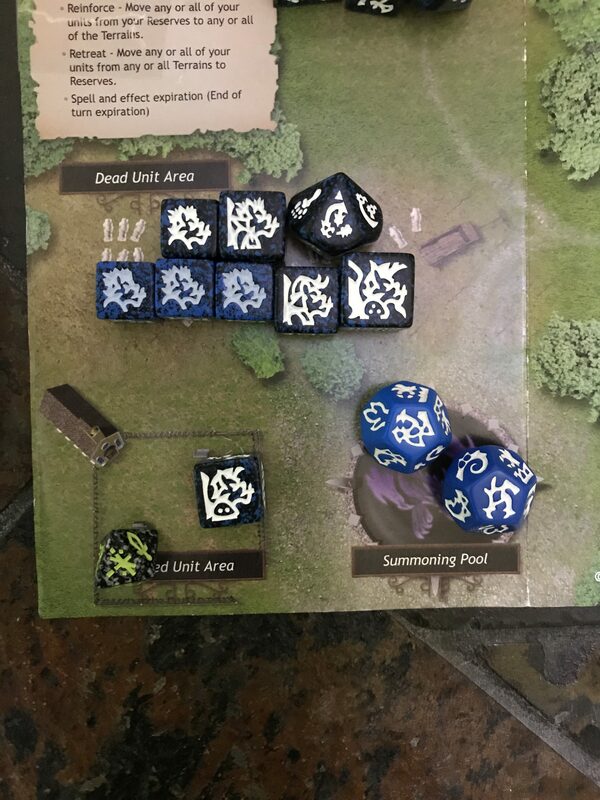 This article is part 3 of an Intermediate level Dragon Dice battle for new players. It is recommended that, if you have not already done so, you read parts 1 & 2 first. The dragon plague at the Frostwing home tower expires at the start of the new round. The Winter’s Fortitude racial ability also means that the Devastator in the BUA moves to the DUA and gives the Frostwings a total of 8 units in their DUA for the purpose of their Magic Negation ability. Only the Dispatcher remains buried. 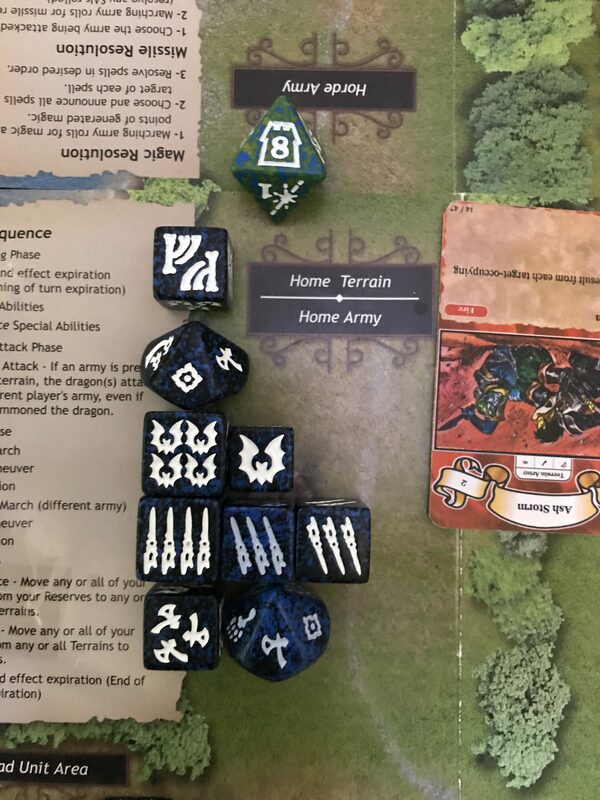 The drake claws at the home army, producing 6 melee results. The Frostwings’ luck suddenly returns and the produce exactly enough saves, thanks to the doubled ID because of their control of the terrain. 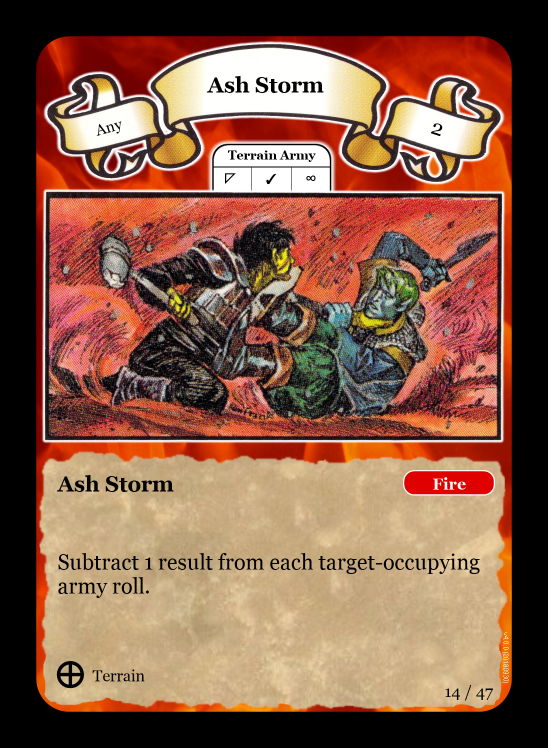 They also generate 10 melee results, including four from the double strike and excluding one from the ongoing Ash Storm. 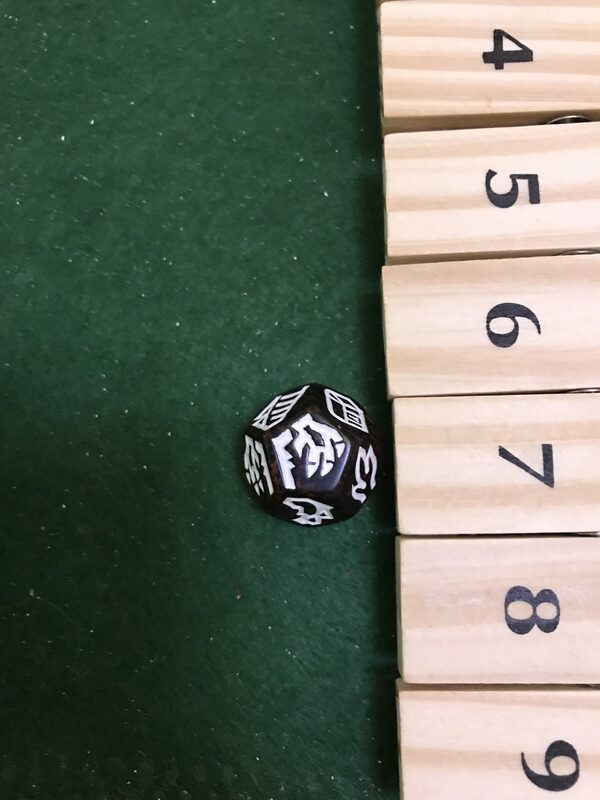 This means that the dragon is defeated and the army can promote its units where possible. Four units are therefore promoted, including the return of the second Cryohydra. The dragon returns to its lair. A few more resurrections would be a leveler for this battle. Magic is needed. Too much good luck in one day makes Jack Frost a nasty opponent. 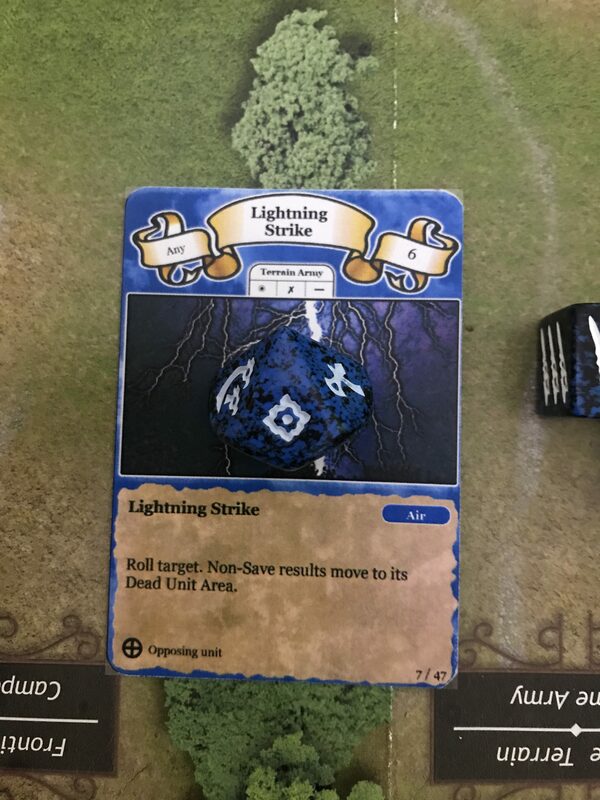 The two magic results, reduced to one by the Ash Storm, means that nothing else happens this round to interest the Frostwing fans in the crowd. They wait for another turn and watch as the Ash Storm goes away. The Explorer at the firewalkers’ home moves forward as the terrain goes to its sixth face and the wood becomes less attractive for magic use, now melee only is possible from here. 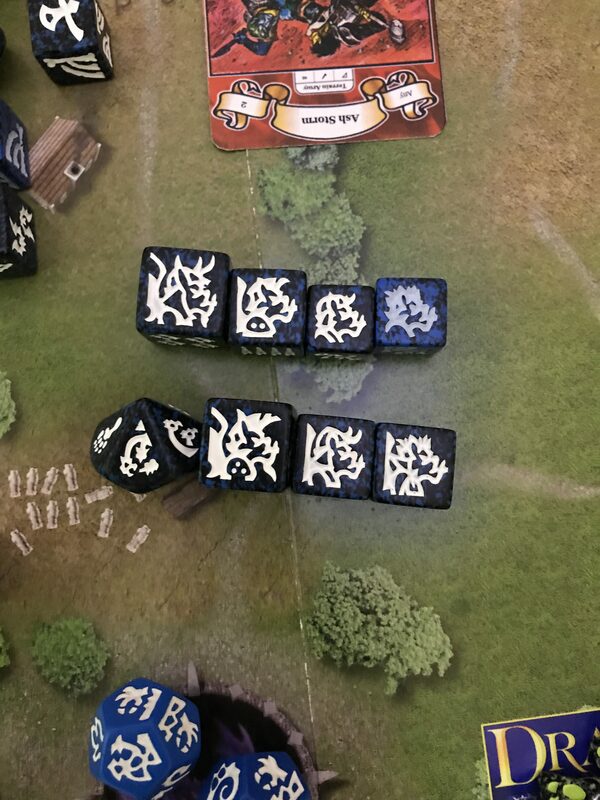 This time it is the turn of the firewalkers campaign army to totally underachieve as they only generate 6 magic results between them as they move forward to the 2nd terrain face. 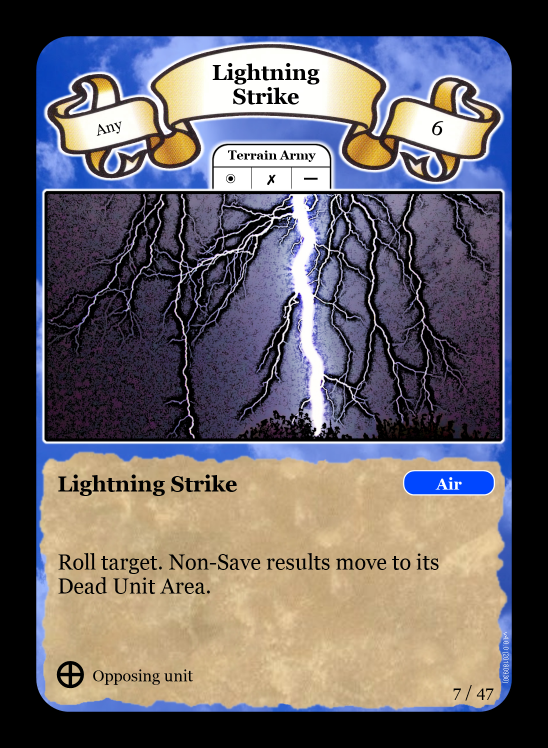 Even more, their attempt to remove a Cryohydra with a Lightning Strike is unsuccessful, as the monster makes its save. The main army return to their home, leaving another solitary Explorer at the frontier.